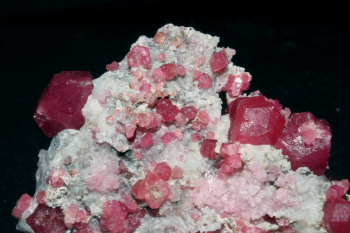 Grossular garnet from Lake Jaco, Chihuahua Mexico, may be found as dark cherry red crystals, with vesuvianite. 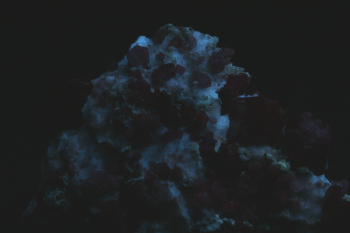 Under either MW or a filtered high pressure UV source, these garnets fluoresce brilliantly in a pure red. 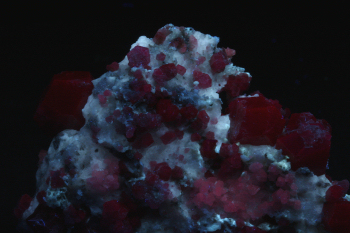 The color is identical to that of red-fluorescing ruby corundum or spinel. 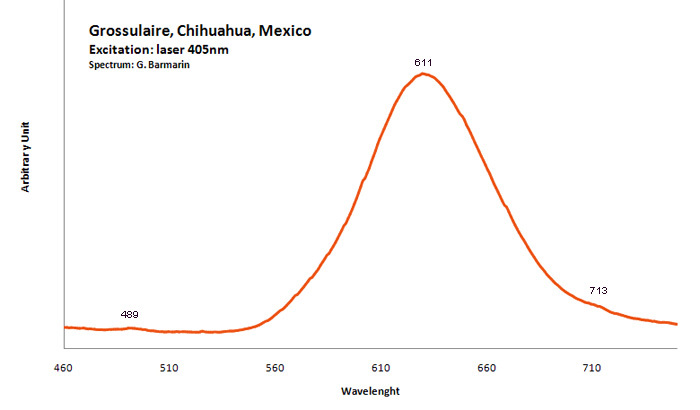 As with those minerals, chromium in place of aluminium is the likely activator. 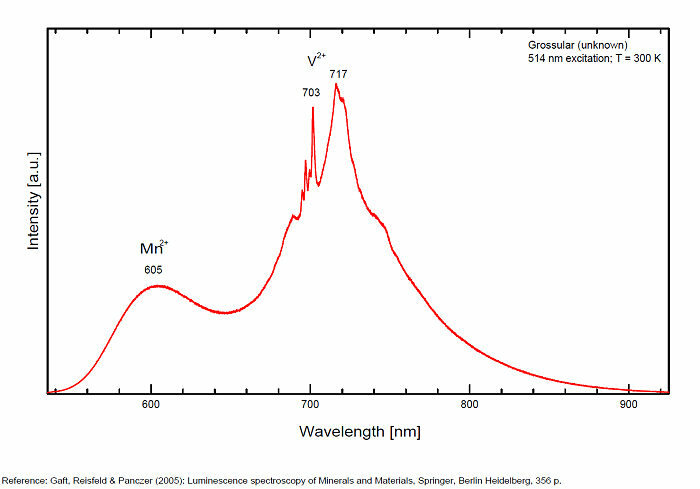 Other activator: V2+ (717 nm), Nd3+ (462, 476, 482,501 nm) and possibly Mn2+ band around 605-610 nm (decay time: several ms).